On display at Bank St.
Fall under the spell of Stressless Magic from the innovators of comfort. Forty years of design expertise coupled with the very latest advancements in furniture making technology result in pure Magic! Extraordinarily luxe cushioning and carefully sculpted proportions make the Stressless Magic our most comfortable recliner yet. Using the Stressless patented Glide, and Plus systems, Magic responds to your body’s slightest movement. 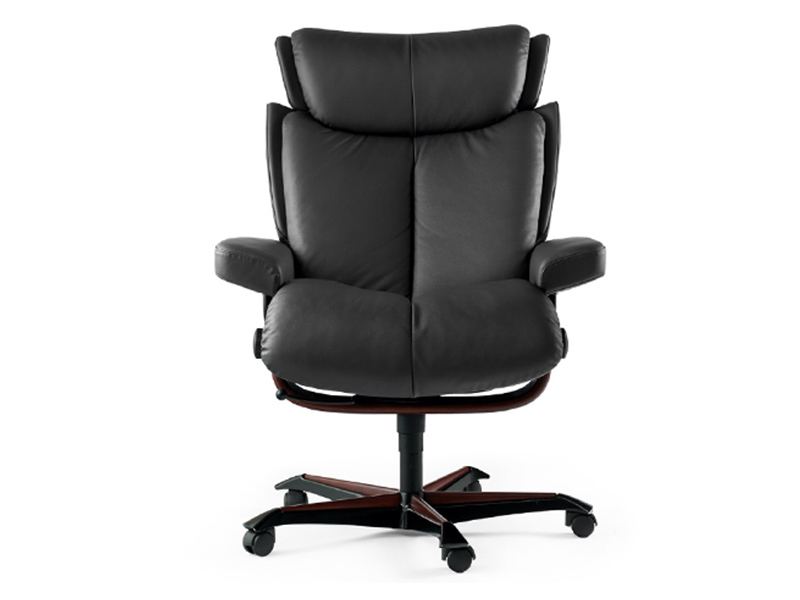 Coupled with an adjustable headrest, Stressless Magic delivers superior support and unprecedented comfort. Today, the first ergonomically designed recliner remains the best. 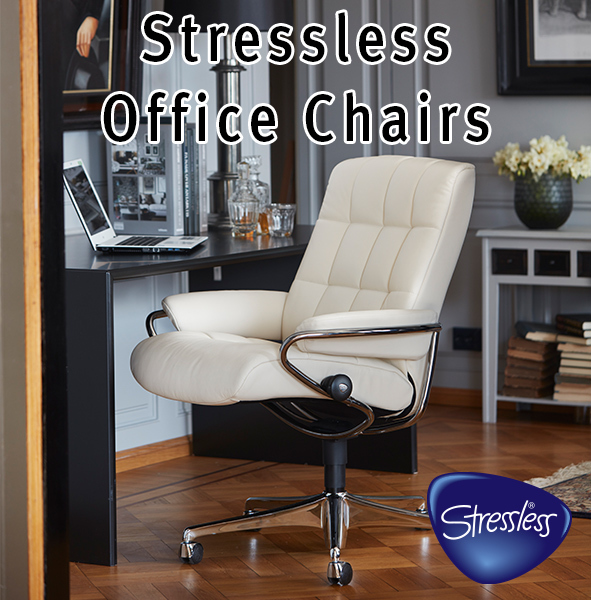 Check out the full range of Stressless office chairs bellow, available exclusively at our 5470 Bank St. location.